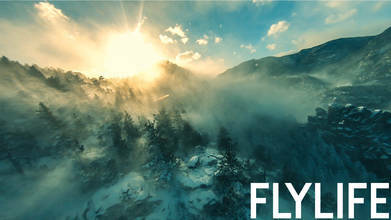 Flylifeco really needs to take us with next time he hits up one of these amazing mountain spots. We mean, honestly, it’s just not fair how perfect some of his locations are. Mountain surfing at its finest, this flight shows why waiting for the perfect moment, fingers twitching with anticipation (and in this case, cold) can be totally worth it. When the sun peaks out behind the beautiful Colorado Rockies while the snow rolls across the trees - that’s the perfect timing we’re talking about. His timing earned him an FPV Pilot to Watch nod.